This winter, The Eight-Year-Old got into gardening in a big way. The timing was a bit unfortunate, seeing as how we live in Chicago. 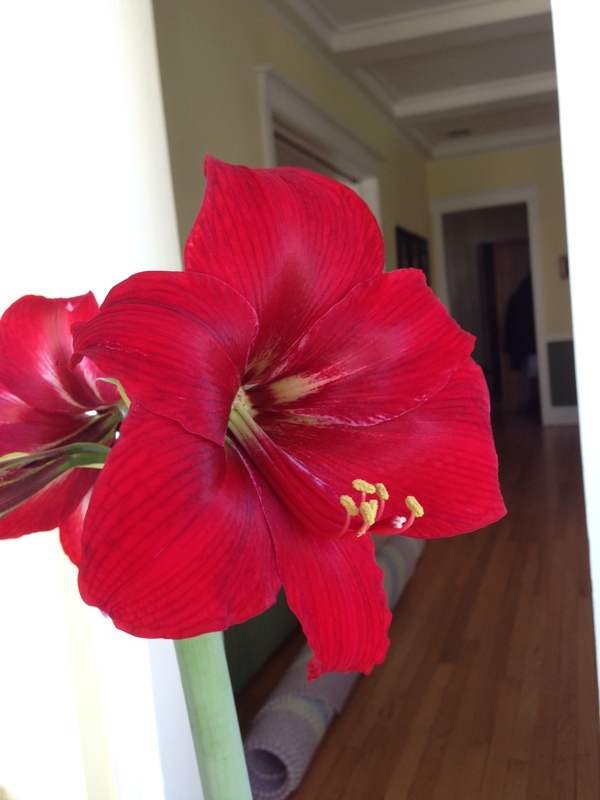 But we got her an amaryllis bulb, and let her take full responsibility for tending it in our sunroom. I use the past tense, because shortly after this photo was taken and before I had a chance to correct the awkward angle, Canelo took a flying leap from the sunroom window and decimated the plant. The Eight-Year-Old has since forgiven him, but for a time their relationship was a bit strained. All that’s left of the plant are the leaves, which The Eight-Year-Old is dutifully caring for, in hopes that the plant will try again next year. My Facebook feed cut off the post at “I use the past tense, because shortly after this…” before I continued reading, I had a strong suspicion that the cat would be involved.